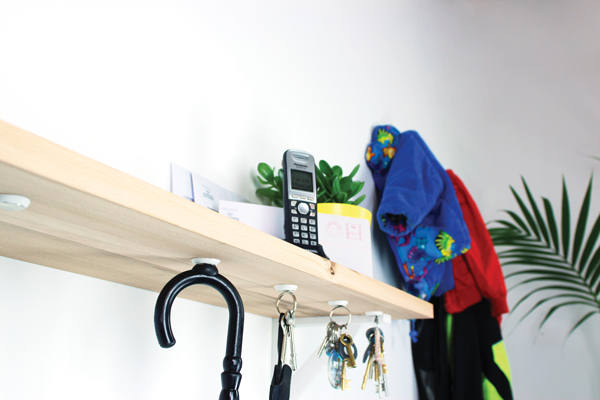 It&apos;s easy to make this oh-so-satisfying idea yourself — just attach magnets to the underside of a shelf with Sugru. Things like scissors and keys, small tools, rulers and anything else with a metal part will just snap into place. Because Sugru sticks to most materials, you can attach magnets to almost any surface you like — Sugru sticks really well to wood, so you can attach magnets and defy gravity! But why stop there? Once you&apos;ve done this home hack, you won&apos;t be able to help yourself coming up with new ideas all the time!